Info from 2018 After almost a decade of absence of Slovakian team at the event, there is finally a new generation of players in Slovakia who are capable of taking part in such an event as the World Cup. Our team is very young with an average age not even reaching 15 years. Therefore this event will be mainly about gaining an international korfball experience for young Slovakian talents. Although their first international participation was the U15 World Cup in Hungary 2 years ago, this team has some more years to fully flourish. 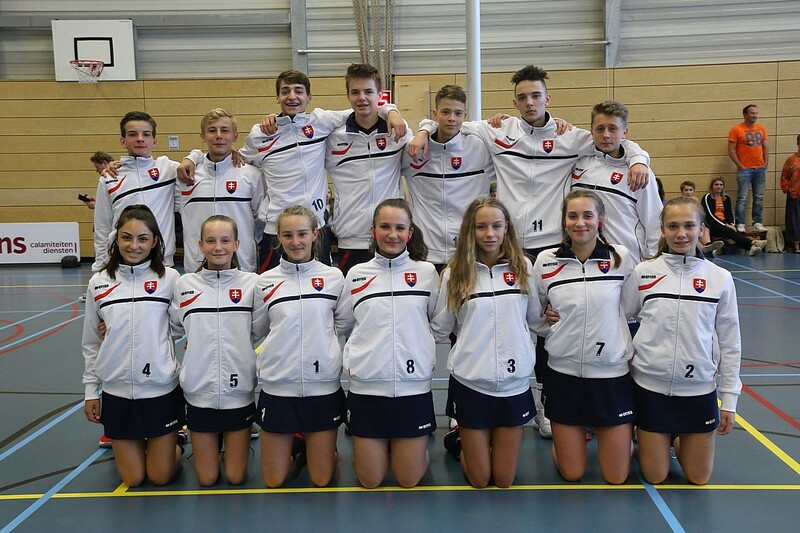 Most of the players took part also in Hungarian competitions, where they became champions of the U15 category in 2017 and silver medallists in both U15 and U17 categories this season. We expect great time in Eindhoven full of new experience and friendships.